In case the recent cast and network shake-ups at British bread institution The Great British Bake Off hadn’t already left you with a soggy bottom (from all the tears, you see), there’s now another change coming down the line for the genial baking show: Ads. BBC reports that, in order to accommodate the show’s move to the commercially supported Channel 4, the series’ episodes will now be extended to 75 minutes in length, in order to make up for 15 minutes of advertisements mixed in with its normal recipe. That’s better, obviously, than just cutting 15 minutes of show to make way for commercials (which would inevitably show food way less appealing than what the show’s well-meaning tent residents routinely pump out), but it’s still a bit of a bummer. Added in with the departures of Mary Berry, Sue Perkins, and Mel Giedroyc, who jumped ship when the series made the channel move, the show is starting to feel like one of those flashy, improvised bakes that contestants whip out when things start slowly going wrong. 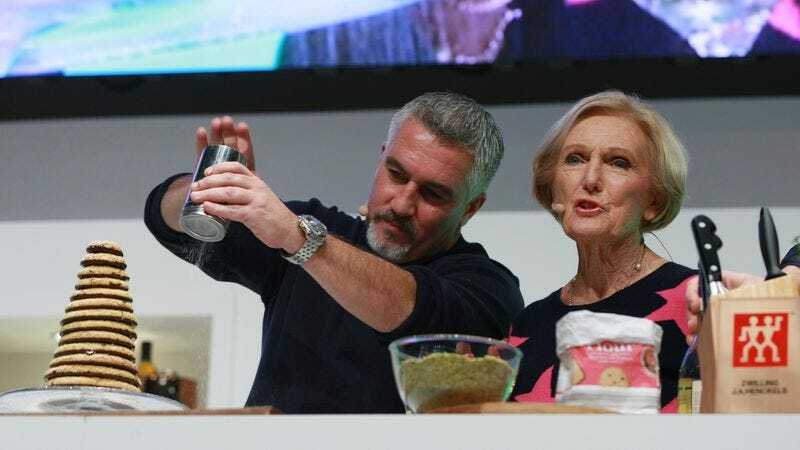 It remains to be seen, then, whether Paul Hollywood and his new companions, Sandi Toksvig, Noel Fielding and Prue Leith, will be able to make like good bread dough, and sufficiently prove themselves when the time to return to the tent finally comes.